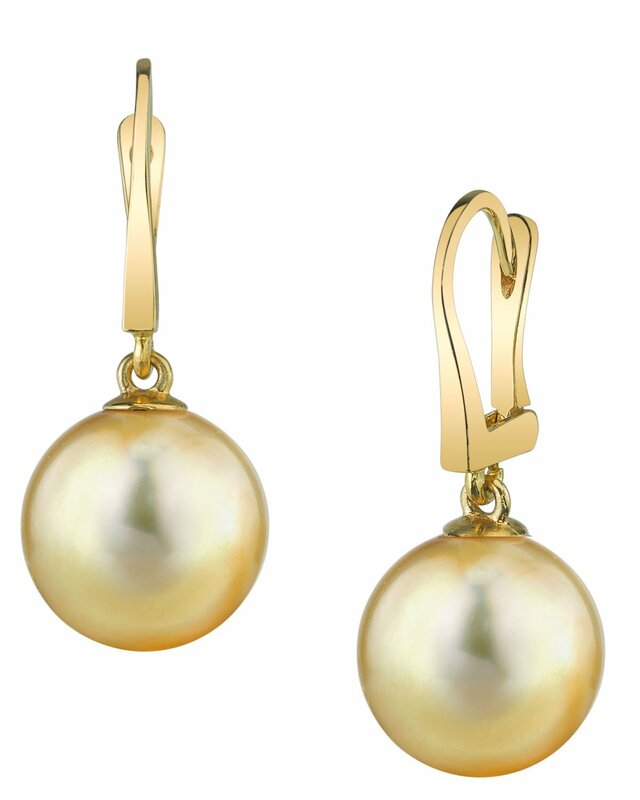 These earrings include two beautiful Golden South Sea pearls with 'Very High' lustre, our highest available. These stunning pearls hang from 14K white or yellow gold earrings to create a product that displays pure, classic elegance. If you have any questions, feel free to call us anytime at 866-87-Pearl (866-877-3275).